The final par three and definitely the best has been saved to last. The hole is there in front of your, downhill all the way. Generally playing into the wind, the key is to select the right club and all will be fine. This hole requires accuracy as well as the challenge of length. 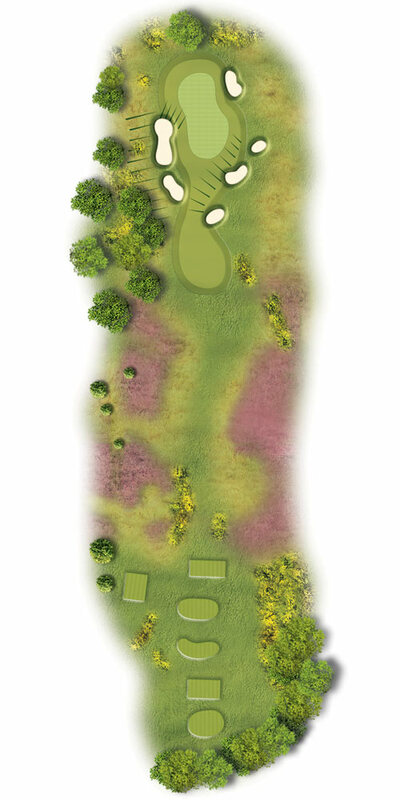 Take more club than you may think as the worst trouble is at the front of the green – good luck!